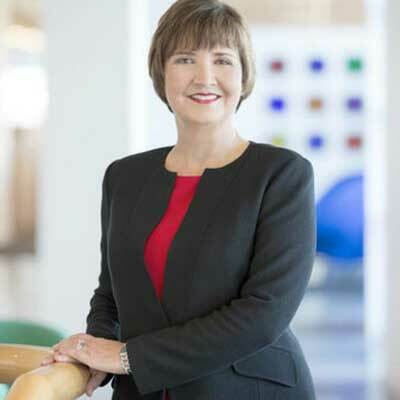 Wendy Bahr is the Senior Vice President of Cisco's Global Partner Organization. She has responsibility for managing and supporting 60,000 global partners who represent the company's primary route to market. Encompassing system integrators, value-added resellers, distributors, services partners, independent software vendors, and technology partners, this global connected partner ecosystem accounts for approximately 80 percent of Cisco's bookings and is a unique differentiator in helping deliver business outcomes for customers and driving growth for Cisco. Bahr and her team are responsible for developing strategic initiatives and program innovations that create profitable growth and capacity for Cisco and its partners. With innovative solutions and services based on complementary technologies from Cisco and its partners, Bahr and her team ensure partners have the right capabilities and skills to serve existing and new market opportunities. Bahr previously lead the Americas Partner Organization for Cisco, which encompassed a team of nearly 600 employees and over 23,000 partners. In this role, she was responsible for partner enablement, partner profitability, and product and service sales growth with partners in Cisco's largest geographical region (United States, Canada, and Latin America) with annual revenues over $18 billion. There are three key areas I spearheaded to help our partners continue growing and remaining profitable in our radically changing landscape. These include the following: 1. Evolving our channel programs was a key accomplishment in 2017 and centered on simplification and increasing the partner value exchange. Highlights include: • reducing 10 express-level specializations to one; reducing 13 Advanced Specializations to five; • a new Master Networking Specialization to help partners enhance their networking capabilities; • investments to help partners focus on lifecycle selling by expanding our Lifecycle Advisor Program and adding two new VIP incentives to help partners jumpstart software-based networking practices. 2. We launched the Distribution Sales Visibility (DSV) initiative. DSV is a distributor-driven reporting process that accelerates our distributors' revenue recognition while equalizing the booking timing for direct and distribution ordering. DSV also provides a more efficient way for distributors to leverage their available inventory to fulfill partner orders. 3. As customers increasingly utilize digitization, delivering on their needs requires the capabilities of multiple partners. To facilitate this, I've expanded our efforts and investments around multi-partner selling. These efforts have led to nearly 12,000 new customers and over $4B in incremental bookings. Watching the Winter Olympics, I really admired Ester Ledecka who was the first woman t compete and win gold in both Alpine skiing and snowboarding parallel slalom. I was inspired by her love of sports and her commitment to passionately pursue both despite concerns from her coach and others that she would hurt her chances to medal in both. People who train with her say she is one the hardest working athletes who treats every practice run like it is an actual race. Ledecka's refusal to specialize and to break tradition and pursue her dreams inspires me. I would tell my 16-year-old self to not take Latin but instead take Spanish and to stick with it. Being multi-lingual is a real asset in today's global economy. I would love to master programming. As our networks become more programmable, expertise in languages like Python are making the transition to software-defined networking possible. This unleashes the power of the network to deliver on our customers' critical strategies. Eric Barker's "Barking Up the Wrong Tree" is full of pragmatic real stories with actionable advice about success. This is a book I will read and re-read for years to come.